New members always welcome, bowls not required. Just wear flat soled shoes. For most of the year members have been competing in a singles ’round robin’ competition with the winners of each group qualifying for the final. 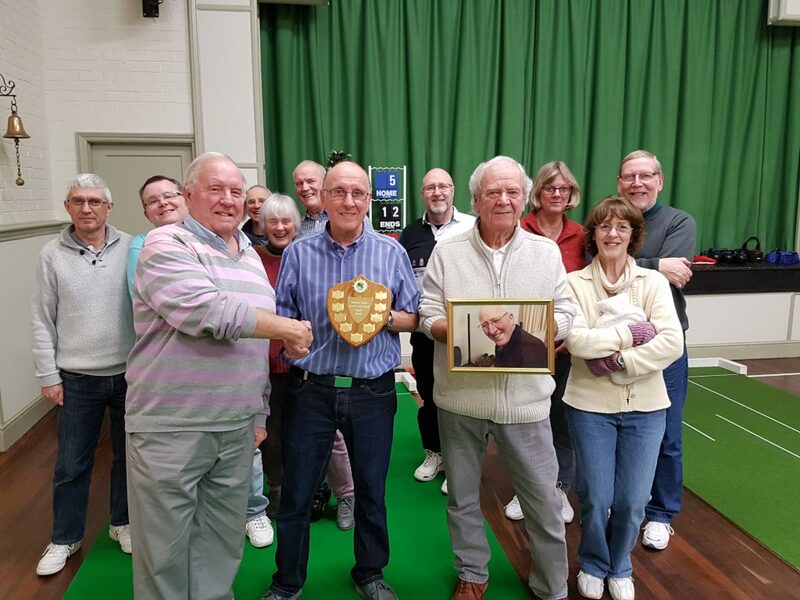 A shield had been donated by the family of the late Alan Vaughn who was a stalwart of Ditcheat Short Mat Bowls club for many years. At this years Christmas party the two finalists, Graham Ford and Tom Clinch, competed for the trophy. Graham being the eventual winner of a close fought match. In the picture, Club Chairman, Martin Edgar is congratulating Graham, whilst Tom is holding up a picture of Alan, who is sadly missed by all.